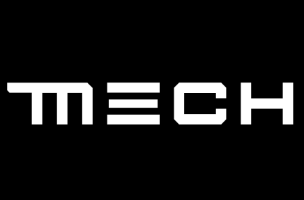 At this week’s E3 in Los Angeles, EA / Chillingo has announced Mech (also M3CH), a competitive, third-person multiplayer shooter for iOS and Android devices. Due out later this year, the game, developed by Small Impact Games, allows players to fight with one of 12 mechs and over 28 different weapons, as they work to destroy other real-world gamers. Powered by Unreal 3 Engine, Mech takes players to arid deserts and crowded city streets, and allows them to customize their mech to suit their play-style. Gamers can use rocket launchers, grenade launchers, railguns, shotguns and more for an offensive approach, or utilize cover and reaction-based dodging to play defensively. The game supports up to eight players online in multiple competitive multiplayer game modes, but further specifics are still under wraps. If Mech looks or sounds familiar, it was first announced by Small Impact Games via its Kickstarter campaign in early 2013. The funding was unsuccessful, but that hasn’t stopped the game from finally seeing the light thanks to Chillingo and EA.